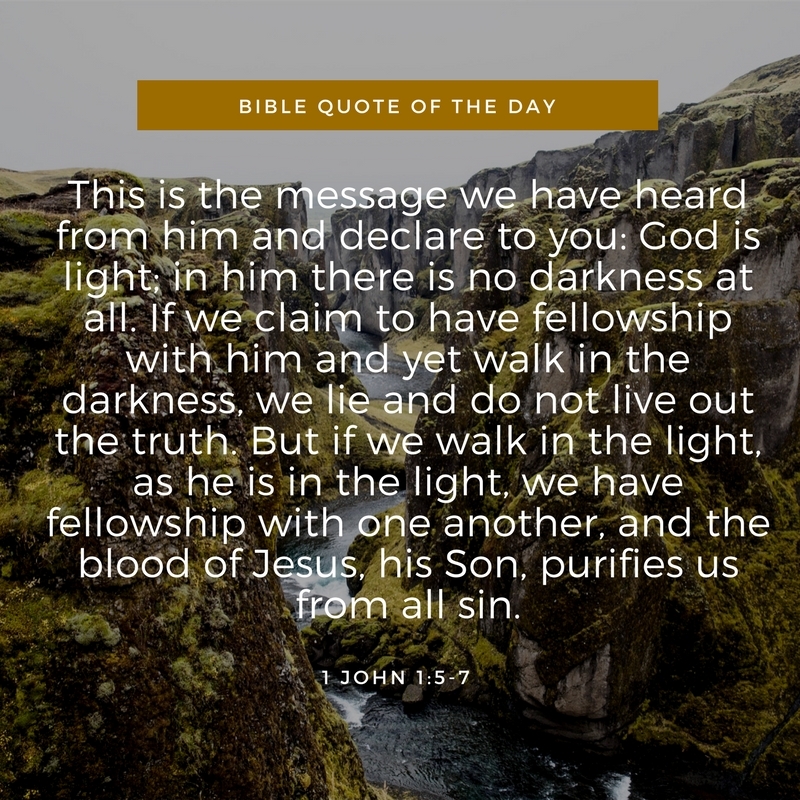 Bible Quote of The Day - Darkness & Light - 1 John 1:5-7steemCreated with Sketch. Christmas is around the corner in fact in just 5 days but sadly not everyone just the REAL meaning of Christmas :( Therefore if you are reading this I do encourage if you are Christian share the Light with others on STEEM or FACEBOOK to let everyone know what they really celebrating about. In today's quote, we all claim to be "Christians" because we have a bible, or maybe you accept Jesus, or attend church weekly which is great by the way. But you have to remember my brother / sister, this verse reminds us if we accept the Lord and continue in darkness and not live out the truth.